Conventions are historic in Deadwood. 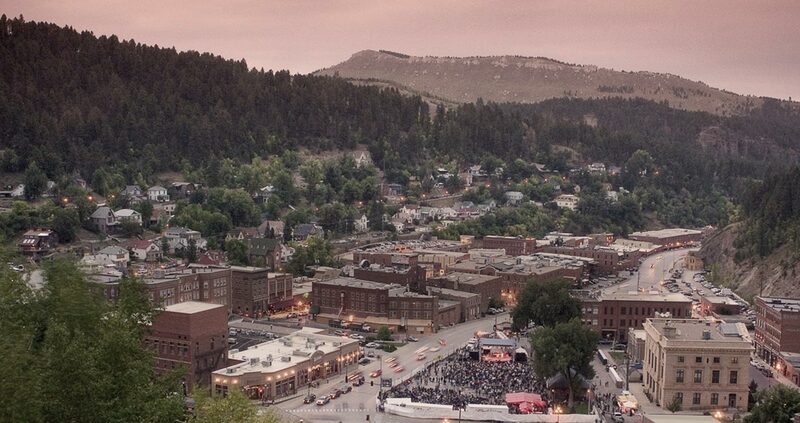 Tucked in the Black Hills, this Old West gaming town offers over 1,500 guest rooms and thousands of feet of meeting space. Our convention facilities also provide catering, banquet rooms, audio/visual equipment and plenty of Wild West fun. Located at the Deadwood Gulch Resort, this convention space (with views of the creek) can accommodate up to 120 guests. The Deadwood Mountain Grand events center can hold up to 2,500 people and features onsite dining, A/V support and more. Host your convention or meeting on Historic Main Street, featuring spaces for 10 to 175 people. Located on the location where gold was first found in Deadwood, First Gold offers versatile space for groups from 20 to 200. If you need space for groups of 170 or less, the Holiday Inn Express and Suites is ready to accommodate you. Located atop a hill overlooking Deadwood, the Lodge at Deadwood Convention Center has flexible space and all the amenities for 10 to 1,700 guests. Connected to Cadillac Jack’s Gaming Resort, Spring Hill Suites can accommodate up to 480 attendees with full-service amenities.